They say “An apple a day keeps the doctor away,” but on Hug day, the phrase will be “A hug a day keeps your worries away.” So, finally, another day of Valentine week is here! Hug Day! It’s a wonderful day celebrated on February 12, after Teddy Day. Valentine week is all about expressing emotions and sharing gifts to those who are the special part of your life. Your parents, siblings, relatives, friends are the real treasures that you never want to miss at any cost. Right? Of course, yes! Without them, it’s really hard to survive in this rough and tough world. So, it’s time to let them know their real importance in your life. And all this can be easily done with a “Jadu ki Jhappi.” We Indians very well know the meaning of this magical phrase. “Jadu ki Jhappi” means “a magical hug.” So, what are you waiting for? Hug your loved ones, not just to make them feel better but also to express your emotions. You may not have thought about it, but there are different types of hugs that conveys your different emotions. Hug day is not only dedicated to lovers. It’s for all! It’s a perfect time to express everything whatever is there in your heart. So, this year, make your loved ones feel special by presenting a wonderful Hug Day gift and revealing your feelings with a warm hug. As we said earlier, Hug day is not only for lovers. Without a warm hug, the day is incomplete. Right? But many professionals get uncomfortable at the thought of celebrating it with colleagues. To maintain the celebration platonic without crossing any line, celebrate this special day by giving a polite hug to your colleagues. This is the type of hug that is given sideways with only a partial upper-body contact. 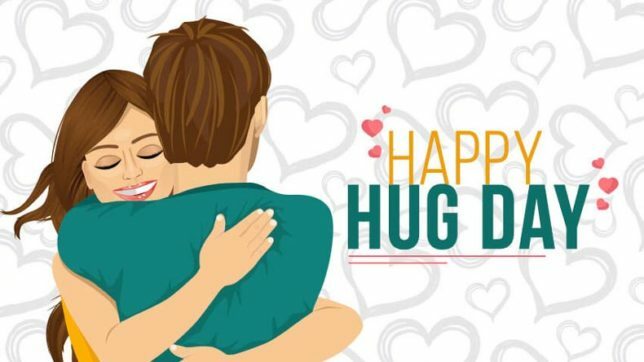 So, celebrate the Hug day by giving this sort of a hug and a fantastic personalized gift like “Happy Hug Day Coworker.” Isn’t this lovely way to celebrate the special day of Valentine week, Hug Day? Your friends are an important part of your life. Actually, they are just like your family with whom you love to be yourself and shares your every single feeling. So, they obviously deserve a buddy hug to make them feel how much they are special in your life. Buddy hug is a sideways hug with your arms over each other’s shoulder. Hugging your friend in such a manner shows the love and care with that person and help to relieve them from any problems. But don’t forget to buy chocolates. This irresistible delight will undoubtedly add more sweetness in your friendship bond. Hurry up, guys & dolls, go ahead before you miss out this wonderful chance! A famous line “Parent’s love is the only love that is truly selfless, unconditional and forgiving.” That’s true! Your parent’s heart is the masterpiece of nature that’s just beyond any comparison. They are the real treasure of life who always stand by your side, challenging the risks of life. 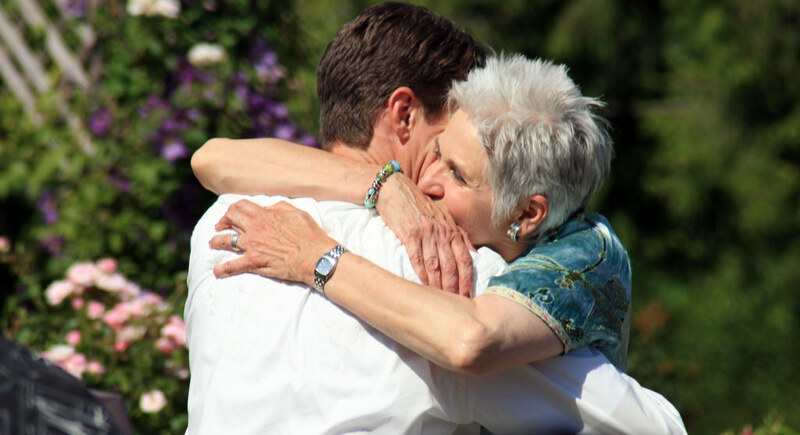 This year, hug your mom and dad tightly to express your gratitude for believing in you. A tight hug is a kind of hug pull you in and squeeze you so tight that you feel protected. These are the real hugs that have the most emotions behind them and if a bunch of flowers accompanies it, then that moment will sure to become a wonderful memory, your mom and dad can cherish for the lifetime. In the rat race of life, many people come and go, but some of them leave their footprints that can’t be ignored. If you have met the special one whom you dreamed about, then celebrate this Hug Day most romantically. A intimate hug is the romantic way to express your deepest feelings of love, care and affection. A little closeness, full body embrace and eye contact, this type of hug is more than just a physical touch. As we all know, the occasions are incomplete without a fantastic gift. So, don’t forget to buy a cute teddy for the love of your life. They will definitely love it. Another kind of hug that silently expresses your love, care and support without any word. It’s the sort that is expressed between couples, but that’s not true at all. It’s the sort that you can give your loved ones too in general. It is a sign of both trust and protection, that relieves from any kind of stress. So this year, buy a perfect gift for your loved ones from a trustworthy gift portal, like Winni and celebrate Hug day in a great way. Hey! Don’t forget to hug them as it is the universal language of love and care. To make your Hug Day, a memorable one, all you need to go through this blog. We hope the above ways help you to celebrate the day in a great way.